Listing courtesy of Reza Baniahmad (CalBRE #01888384), Keller Williams VIP Properties. You’ve got to see the light in this beautiful and clean 1 Bedroom ? 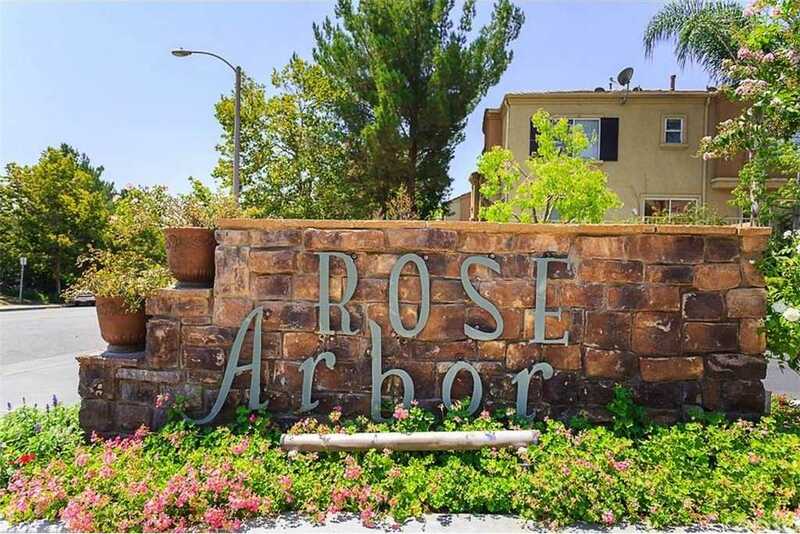 1 Bathroom Condo in a great location of Valencia Rose Arbor Community. This is a corner unit with upgraded kitchen, flooring and fresh paint! Great Views from Balcony off the dinning room and master bedroom with views of the mountains. Living room and dining area with a fireplace. Master bedroom has two closets with sliding doors and dual sinks in bathroom. Direct access to the garage with laundry area. Beautiful and well-maintained community pool and spa and access to the Paseo system throughout Valencia. Great location and priced to sell! Great property for First Time Home buyers to consider! Building size: 592 sq ft.
Based on information from CARETS as of April 18, 2019 12:26. The information being provided by CARETS is for the visitor's personal, noncommercial use and may not be used for any purpose other than to identify prospective properties visitor may be interested in purchasing. The data contained herein is copyrighted by CARETS, CLAW, CRISNet MLS, i-Tech MLS and/or VCRDS and is protected by all applicable copyright laws. Any dissemination of this information is in violation of copyright laws and is strictly prohibited. Any property information referenced on this web site comes from the Internet Data Exchange (IDX) program of CARETS. This web site may reference real estate listing(s) held by a brokerage firm other than the broker and/or agent who owns this web site. The accuracy of all information, regardless of source, is deemed reliable but not guaranteed and should be personally verified through personal inspection by and/or with the appropriate professionals.